CANCER RESEARCH UK has tripled its investment in pancreatic cancer, one of the hardest cancers to treat, since launching its research strategy in 2014 – according to new figures published. The charity increased spending on pancreatic cancer research – including improving diagnosis and treatment – to £18million in the 2015/16 financial year, tripling the £6million investment in 2013/14. One of the charity’s aims is to help tackle the rising rates of pancreatic cancer, in particular in women, as well as improving poor survival from the disease. Only one in every 100 pancreatic cancer patients in England and Wales survive their disease for more than ten years and this has stayed the same since the 1970s. In Wales, pancreatic cancer incidence rates have increased by 3 per cent in the past decade. In the country, around 430 people were diagnosed with pancreatic cancer ten years ago, today around 510 people are diagnosed with pancreatic cancer. Over this same period in Wales, pancreatic cancer mortality rates have remained stable. In the country, around 390 people died from pancreatic cancer ten years ago, today around 450 die from pancreatic cancer. 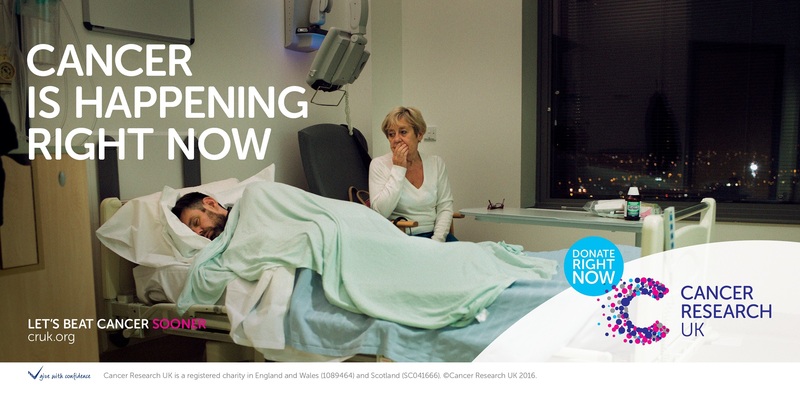 These Cancer Research UK figures are announced to coincide with new TV advertisements for the ‘Right Now’ campaign. The campaign is designed to highlight the personal impact of cancer in a series of 30 second films and outdoor posters which show the experience of patients going through treatment or being told test results. Cancer Research UK hopes the campaign will highlight that cancer continues to have an emotional and physical impact, and that research is happening right now to develop better treatments and improve survival for people affected by the disease. Cancer Research UK also wants to offer hope as it increases funding into pancreatic cancer research across the country, ranging from clinical trials to find the best chemotherapy combinations to give patients after surgery, to discovering the faulty genes and molecules that make pancreatic cancer grow and spread. In 2014 Cancer Research UK recruited world-leading pancreatic cancer research expert, Professor Andrew Biankin from Australia, to work at the Cancer Research UK Glasgow Centre. Professor Biankin now leads a team helping to unearth the genetic and molecular secrets hidden within the biggest collection of pancreatic tumour samples in the world. His findings could lead to better ways of matching therapies to patients, and uncover new avenues for treatment. Professor Biankin said: “Pancreatic cancer is an inherently aggressive disease and it’s often diagnosed late, which puts it a step ahead of us when we come to treat it. We need to be more ambitious and hit the disease hard and fast with new approaches. We need to diagnose these cancers swiftly so patients can get onto clinical trials which may help them. Carl, 42, from Leeds, runs a street food business and was diagnosed with pancreatic cancer in 2012. He was a regular at the gym and ate well, but had started to have pains on the right-hand side of his rib cage. After visiting his GP with jaundice Carl was referred to hospital where he was diagnosed with pancreatic cancer. He had surgery and chemotherapy to treat the disease. Unfortunately his cancer returned in November 2013, this time affecting his liver and he had another three months of chemotherapy. The cancer has returned twice more since and Carl has needed more treatment each time. Carl is currently in remission and having a break from chemotherapy. Carl appears in one of the Right Now campaign posters. He is asleep in his hospital bed as his mum looks on. Carl said: “Before cancer happens to you or a loved one you don’t often see inside the hospital, so people have lots of assumptions of what it’s like. I wanted to take part in the Right Now campaign to show the reality of my cancer treatment – it hasn’t always been easy. And I think it’s also important to talk about how Cancer Research UK is helping develop new treatments for people like me in the future, through clinical trials and research. Karen Davis, Cancer Research UK spokesperson for Wales, said: “Our Right Now campaign highlights the reality of cancer. “We want to inspire people in Wales to see the campaign and feel motivated to act – right now – to help more people survive. There are so many ways to get involved – from signing up for Race for Life to giving time to volunteer in our shops. The actions people take today will make a real difference to men, women and children fighting cancer both now and in the future.